Mathematician and cryptanalyst Alan Turing's single greatest achievement (although there were plenty of others) was cracking the German Enigma decoding machine. Did you get the name of that decoding machine? The ENIGMA. It's important you get that. Because guess what? Not only was Turing trying to crack the Enigma... HE WAS AN ENIGMA. I know, right?! But don't worry if you haven't worked out the connection yet, because The Imitation Game spends 114 minutes smashing you over the head with it, to the point where even its title is an anagram of I AM THE ENIGMA, TITO. Although I don't know who or what "TITO" is. I'll be honest, that bit remains an enigma. Perhaps I'm being unfair. The Imitation Game is, in all honesty, a very decent period drama about a man who deserves to have his story told. Historians suggest that Alan Turing's work on the Enigma shortened World War II by two years and saved 14 million lives. Plus, he secretly worked for MI6: he's basically a James Bond who never left the office. Or blew anything up. And was gay. But it's a stroke of luck he was so, uh... enigmatic, because his own personal secrets and mysteries make him far more suitable for a glossy, polished biopic than any old run-of-the-mill genius. 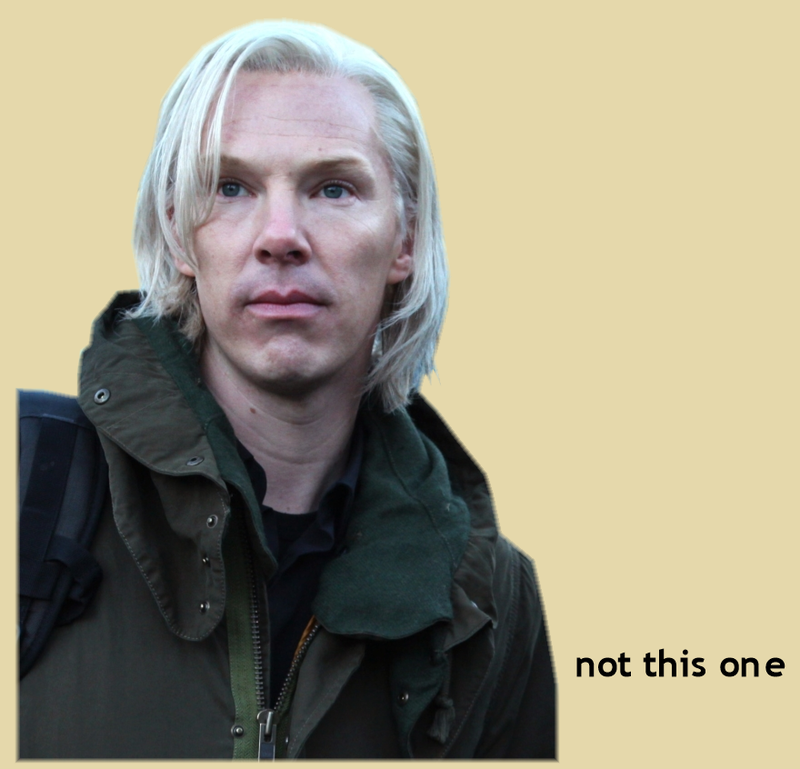 In fact with his insufferable arrogance, reliance on pure logic and inability to fathom the rules of the most basic human interaction despite being a Grade A egghead, he's more than a little reminiscent of another popular screen character of the moment, also brought to life by the very excellent Benedict Cumberbatch. So we've got all the reasons we need to make a movie about Alan Turing, but how do we make it as entertaining as possible? Writer Graham Moore and director Morten Tyldum have two suggestions: 1) Make it funny, and 2) Make it absurdly dramatic. The Imitation Game is both of these things, and for those reasons is a much more entertaining prospect than its subject matter might suggest to anyone who's never heard of Alan Turing and is terrified at the prospect of a British period drama featuring a bunch of nerdy toffs doing maths in a shed. Turing's Spock-y, borderline Asperger's way of communicating with superiors and colleagues is played largely for LOLs, although - all credit to Tyldum, Cumberbatch and the likes of Charles Dance and Mark Strong - not enough to appear tasteless; as a result, the first act is a surprising chucklefest. Once the cogs start turning in Moore's excitable script, though, its melodrama becomes both strength and weakness. 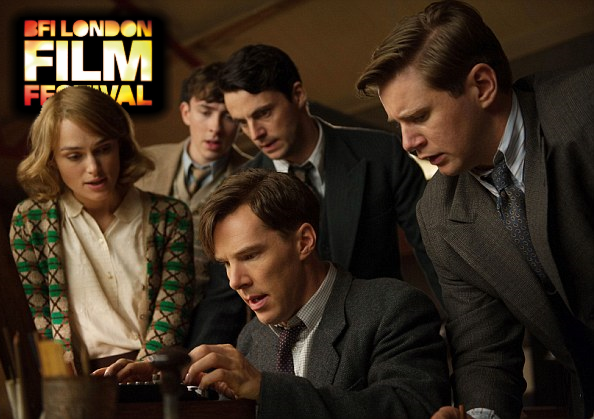 Simplifying events, manipulating timelines for dramatic convenience and inventing details are all to be expected of a two-hour film that needs to put bums on seats, but The Imitation Game does all these things repeatedly and obviously, even if you don't know the true story. A subplot involving a double agent on Turing's team is so convoluted, and the way they're caught so forehead-slappingly stupid, that it can only be a fabrication - and sure enough, cursory post-viewing research reveals that although the agent existed, there's no evidence that they ever met Alan Turing. 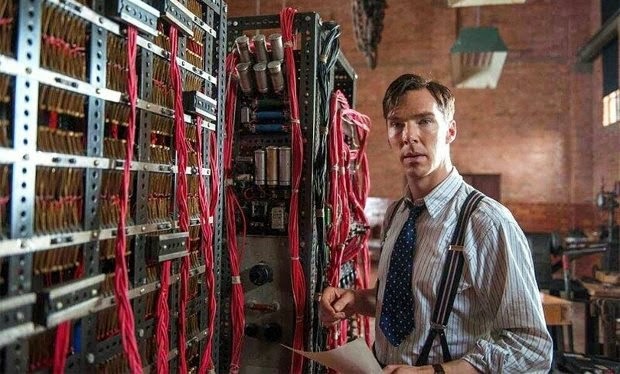 What we're left with is an awards-baiting, crowd-pleasing drama about a significant historical event, the true details of which are - like Turing's mental processes - so complex they have to be dumbed down for the rest of us mortals to understand. The Imitation Game is essentially Argo with plummy accents and less facial hair (although in Keira Knightley's character we do have quite an impressive beard) and, like that film, I really quite enjoyed it; I just felt a little dirty afterwards.